Harrell explained to students that he started The Center for Returning Citizens (TCRC) because he was one himself. He discussed the time he served in various prisons, how he learned about Quaker beliefs by working in the Friends Center (describing himself as a “Rastafarian Quaker”), and the advocacy he now does on behalf of the TCRC. He also advised students of the need to register to vote, and discussed other meaningful ways they can make a difference. “As young people,” Harnell said, “if you want to have an impact on your community, look around you. See what work needs to be done.” He recommended volunteering for organizations doing critical work at the street level, in order to have a more profound impact. 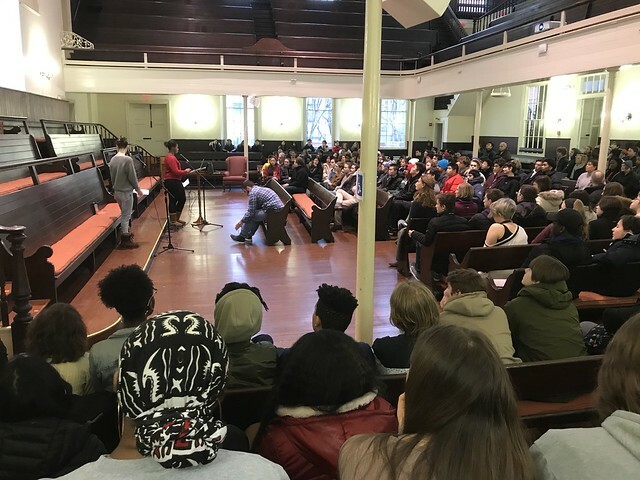 “The teach-in was better than any of us on the planning committee could have imagined,” said Toni Graves Williamson, Friends Select’s Director of Equity and Inclusion, who explained that the idea for holding a teach-in came from middle school faculty member Jonathan Ogle last year. But as Williamson noted, upper school students were integral in planning the program and hosting guests for 15 workshops. Students also created a civil rights-themed “Kahoot!”—an online trivia game in which all advisories participated. 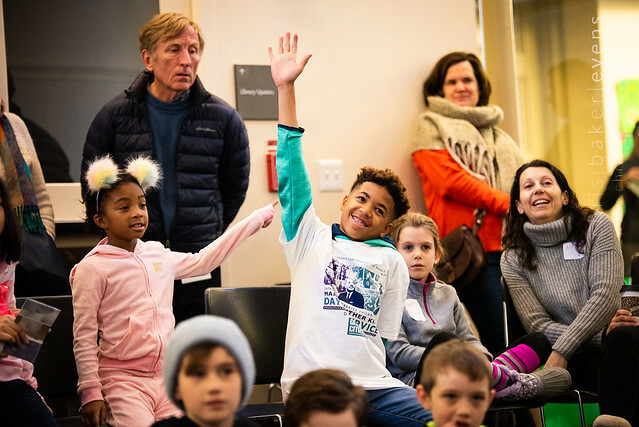 The focus on advocacy continued on Martin Luther King Day, when the Central Philadelphia Monthly Meeting, Earth Quaker Action Team, and our Parent Association co-hosted a Family Experience in the Meetinghouse. Over 120 guests were in attendance to remember lessons of the civil rights movement, learn about the four roles of social change, and address climate change as a social justice issue.